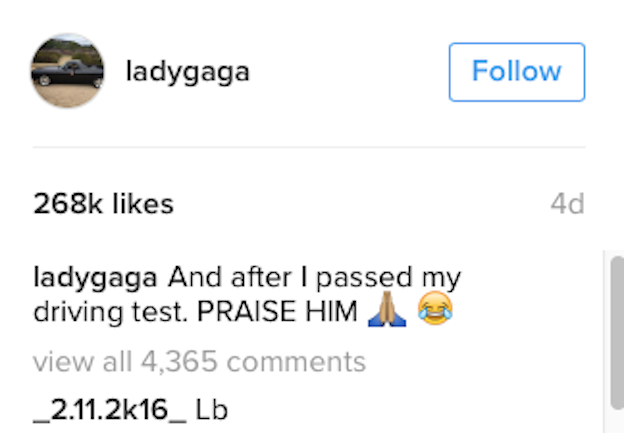 Lady Gaga On Hands And Knees Seconds After Completing Drivers Test, Breath Guys. Wow! GagaINspace News And Gossip. Here is Lady Gaga just seconds after she completed her drivers test. 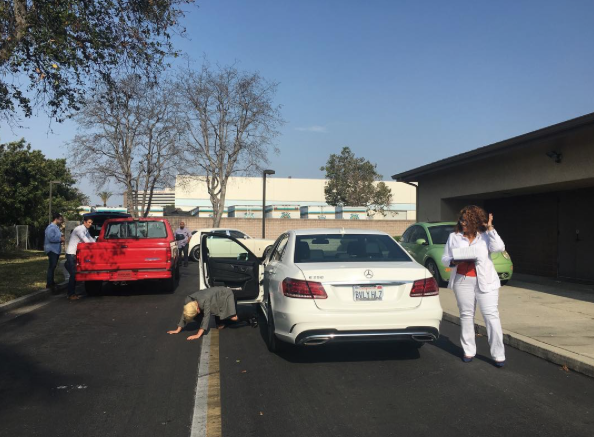 She crawls out of the car on her hands and knees...wow, a personal fantasy of mine...anyways...she looks overly relieved to be back on the land and have that horrible test finished.